Last night we celebrated Halloween with family and a few friends who came over for dinner and trick-or-treating. 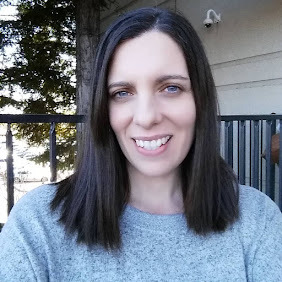 It was a lot of fun, especially since out new neighborhood here in Nevada is so walker friendly. My grandchildren brought home a ton of candy, so of course they thought the night was a huge success. Halloween has always been one of my favorite holidays, and this year made it all the better by sharing it with those we love. So now that the month of November is here, I wanted to share this yummy apple dessert with everyone. There's something about November that makes me want to make cozy apple recipes, they just speak to me of home, and family. 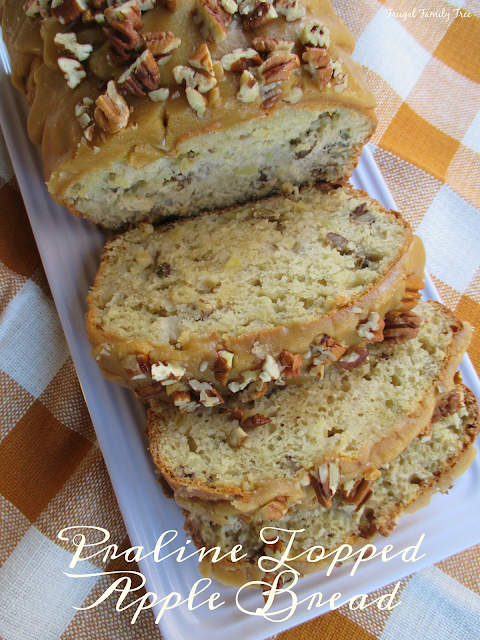 This recipe for Praline Topped Apple Bread is from Taste Of Home Fall Baking Magazine. I've really come to love this magazine and the cookbooks too, they are filled with wonderful and easy recipes for home cooks. 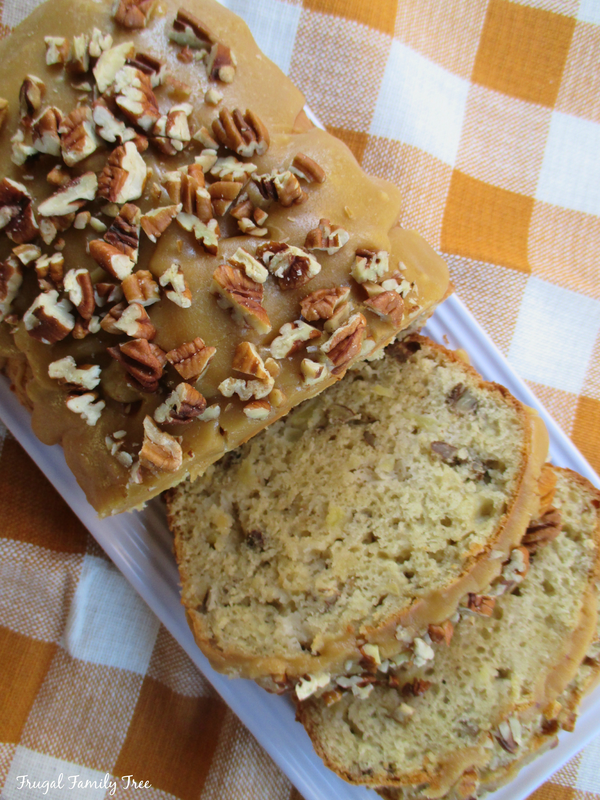 I made this apple bread for my family and it was a big hit. The flavor is rich and intense, and the apples and pecans blend together beautifully. I'll be making it again for friends and neighbors at Thanksgiving, this time in miniature loaves. The little loaves are so cute, and a food gift is always special and appreciated. Preheat oven to 350 degrees. In a large bowl, mix flour, baking powder, baking soda and salt. In another bowl, beat sugar, sour cream, eggs and milk until well blended. Stir into flour mixture just until moistened. Fold in apples and 3/4 cup pecans. Transfer to a greased 9x5 inch loaf pan. Bake for 50-55 minutes, or until a toothpick inserted in the center comes out clean. Cool in pan 10 minutes. Remove to a wire rack to cool completely. In a small sauce pan, combine butter and brown sugar. Bring to a boil, stirring constantly to dissolve sugar, boil 1 minute. Spoon over bread. Sprinkle with remaining pecan. Let stand until set.